Pretty impossible to believe, but Widespread Panic’s first live album, “Light Fuse, Get Away” dropped twenty years ago this month. A true watershed in the band’s career, the album highlights the excellent Spring and Summer Tours of 1997. 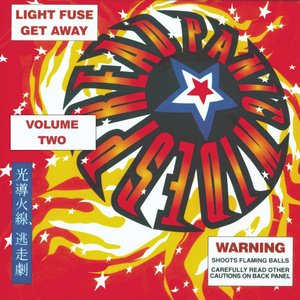 To celebrate this anniversary, we take a crack at putting together a Volume Two of “Light Fuse, Get Away.” Using only SBD recordings from the same tours, and no repeats from the album, we have put together what could certainly been reasonable first set from 1997. Sure, it would be great to include all of favorite songs, but come on, we cannot be total fanboys, can we? Join us as we visit Baltimore in July, and Asbury Park, suburban Austin, and Washington, DC in April.